On a previous post, critic and analyst, William Holden, reviewed Glenn Beck's show on Fox from February 14th. Near the beginning of the 39 minutes of propaganda that Beck engaged in that afternoon, he discussed democracies and why the framers of the Constitution opposed majority rule that was not protective of minority rights. The principles expressed during that show conveyed that Beck has either learned about standing in opposition to mob rule since last summer, or he has changed his mind about opposing the location of the cultural center near Ground Zero tentatively called Park 51. He did correct his spelling mistake. 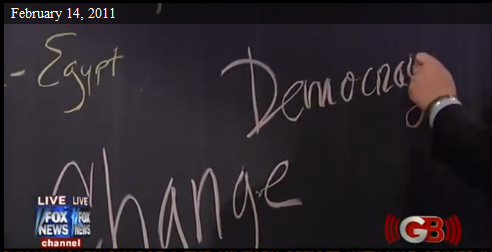 Beck: Democracy. What does that mean? Nothing. Nothing. It depends upon who the people are that are voting. What does it mean? The people's will. Ok. That's great, but the Founders rejected it. They rejected democracy. Why? Because it leads to mob rule. It leads to the person that can organize the biggest mob or the biggest voting bloc. That's who wins. Democracy leads to the oppression of the weak, of the minority. The one with the biggest mob wins, and the one with the biggest mob right now is the Muslim Brotherhood. Actually other reasons that the Founders rejected democracy was because they didn't trust men to make the right decisions on matters of state and earlier democracies had proved to be unstable. Another distortion Beck offered is about the biggest "mob" in Egypt. The Muslim Brotherhood is not supported by a majority, but they are the best organized faction outside of the military. Be that as it may, Beck is right about one reason why the Framers did not trust the majority. The Amendments of the Constitution were added precisely to protect minority rights, including the right to religion. Last summer, Beck stood firmly with the mob to oppose the location of Park 51, the proposed cultural center near Ground Zero, the former site of the World Trade Center. If Beck knew last summer what he is articulating in this bit, then he was a hypocrite for siding with the majority who opposed the Muslim's right to religion. He acknowledged then that they had the right, but he felt that the Muslims behind this project should abide by the will of the mob that Beck is now worried about. If he did not understand then what he does seem to understand now, then he must have changed his mind about the proposed location of the Park 51cultural center. This is spelled out because it is easy to accuse someone of hypocrisy, but proving it requires specific evidence that someone has come out against a principle that the same person has previously stood for. Beck does not give critical bloggers interviews, so there is no way to know for now if he is a hypocrite about Park 51 or if he has changed his mind. Keep this in mind when the subject comes up again as it certainly will since the project is still moving forward. Protesting attacks on minorities in the U.S.
Add to that list the hypocrisy about protecting the rights of minorities if he comes out again in opposition to the construction of Park 51 at that location. People, who are already critical of Mr. Beck, can readily grasp that he is not a principled man. People, who have been manipulated and programmed by Mr. Beck, avoid the cognitive dissonance that would come from acknowledging that Beck is a regular hypocrite about the principles he embraces. They cannot hear it when he exhibits hypocritical ideas because of what is called biased assimilation. They agree with him so much in their hatred for progressives and/or the President that they don't comprehend what his critics readily hear and understand. This review of Beck's hypocrisies will fall on blind eyes of Beck's followers. Who needs this? Who needs to understand that Glenn Beck is not just a liar and a charlatan but an unprincipled hypocrite as well? Everyone not listed in the previous paragraph needs to find out about Glenn Beck from a critical perspective before one of Beck's committed and loyal minions follows his commands and persuades them to watch his show. Some people will watch his show and think that he's "crazy" or more accurately absurd and clownish. Others, people who don't catch his lies, who don't know enough about the world to detect his distortions and false claims, might get taken in by Beck's manipulative techniques. These people need to know what Beck's critics understand. Glenn Beck is a hypocrite, not rarely but fairly often. 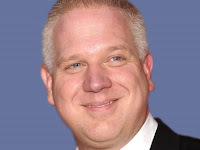 If you have family members that you think might watch the Glenn Beck show on Fox, and you want to make sure they understand what a hypocrite Glenn Beck is, then only you can take the next step to stem Beck's miseducation and purposeful distortion of reality. Just like only you can prevent forest fires, only you can prevent Beck's influence from growing. Supporting a principled and honest libertarian or neo-conservative is one thing, but this is not about Beck's political orientation. Beck's deceitful, hypocritical, hateful and vitriolic rhetoric and race-baiting can and must be stemmed. You can help. Please, share this URL. Help those Beck has not reached understand the real nature about Beck, the master of stage-craft, before he works his deceitful and ignorant craft on your friends, your neighbors and your relatives. Glenn Beck should read "Unruly Americans and the Origins of the Constitution". Yesterday during my daily 5-minute listen I heard this, "There is [will be] a time when the world will not fear the American passport." It's scary the extent of his influence. What do you think of FreedomWorks' new site - FreedomConnector? Fossicking, I had seen him advertise that, but I had not been to the site until now. Beck is free to organize all he wants. I don't think it's right for him to be an activist AND a commentator any more than I believe it's right for Ed Schultz of MSNBC to be an activist and a commentator. So it's hard to complain about Murdoch allowing Beck to organize the right when Comcast allows Schultz to organize or actively encourage the left. It's their rights as Americans; but it's wrong as network commentators. I'm thinking about joining the Freedom Connector, but I really have a full plate just watching and analyzing Mr. Beck. "If Beck knew last summer what he is articulating in this bit, then he was a hypocrite for siding with the majority who opposed the Muslim's right to religion." This is faulty logic. Simply because he happened to agree with the majority in this case, doesn't infer that he cant support the rights of the minority to their opinion. braillepro, you miss the if/then logic. He was on the side of the mob last summer and opposed the construction of the Park 41 cultural center on the proposed location. It's not hypocrisy because of the order of events, but it will be if he comes out against the construction of Park 41 again. Beck made it clear last summer that he was with the majority and against Obama who took the position of the 1st Amendment. Oh, and there are 18 examples of actual hypocrisy you managed to not mention.